One of the things I love about reading the Bible is, it doesn’t sugar-coat the stories. 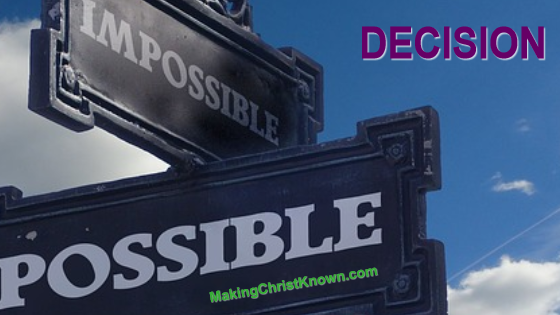 We see how God uses the good, the bad and the ugly, just as it happened. 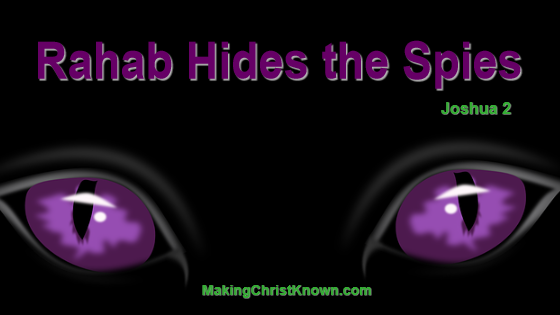 The title, “Rahab hides the spies” doesn’t tell us much. But, the story gets more interesting when you consider she is a prostitute who hides the two spies Joshua sent to gather information in Canaan. And, Rahab changes her heart. She develops her faith in God in this Bible study lesson. As a good leader, Joshua did not want to take his army into Canaan blind. Also, he needed to know the strengths and weaknesses of the enemy before attacking. The spies Joshua sends end up in the house of – yes, a prostitute. But, in this story of intrigue and shrewdness, we’ll discover how Rahab hides the spies; and handles her mission for God. So they went and came into the house of a harlot whose name was Rahab, and lodged there. It came about when it was time to shut the gate at dark, that the men went out; I do not know where the men went. But she had brought them up to the roof and hidden them in the stalks of flax which she had laid in order on the roof. This was a dangerous situation for the spies to go back into Canaan. Especially after what happened the first time. Heavily fortified, Jericho was a city to be reckoned with. The two spies needed a refuge where they could come in unnoticed, gather information about the enemy, and then slip away silently. But… Why Go to Rahab? Who would have been the perfect contact? How about someone who was experienced in “keeping secrets” from wives or girlfriends? A prostitute, of course. But, this is not the only reason Rahab was chosen. God saw into Rahab’s heart and He knew that she had become a believer. Rahab heard about His miracles in Egypt. And, she knew how Israel had defeated major enemies by following Him. Rahab truly believed that God would protect her if she protected the two men sent by God to her house. You see, God does not just use “church people“. He uses people from all walks of life. In other words, He works through those willing to follow – those like you and me. Rahab made a decision to follow God’s will in her life. He used her for His mission, knowing exactly what her past held. God knows our past too! Does this affect His calling us to do things in His name? We do not always have to be perfect, or make all the right decisions as long as we do our best to follow what God has planned for our lives. Just as Rahab decided to follow the direction of God, we should see if there is something He wants us to do today. If you would like to discover more about the love and life-changing experience of Jesus Christ, please take a moment and go to John 3:16 now.